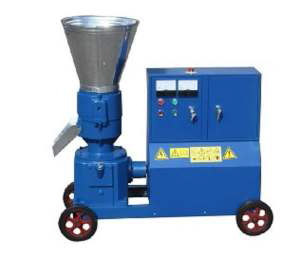 The ABCHansen MPEL200 Plate mill is a multipurpose pelleting press, that provides an excellent product at a reasonable price, both in capital cost and in maintenance.The simplified flat die system is longer wearing and has a lower replacement cost than the ring die pellet mills common in South Africa. Operation and maintenance is also very simple with all the power being transferred from the motor via a single direct couple gearbox mounted in a cast iron housing. 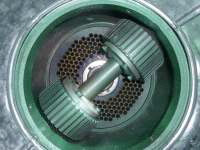 The hopper feed is adjustable to prevent over feeding and blocking of the die, and the integrated into the mill shaft is a cutting mechanism for cutting pellets into similar lengths before exiting the machine. The outlet, as standard, is for a bag off directly from the machine, but can be adjusted to feed into cleated or belt conveyors. 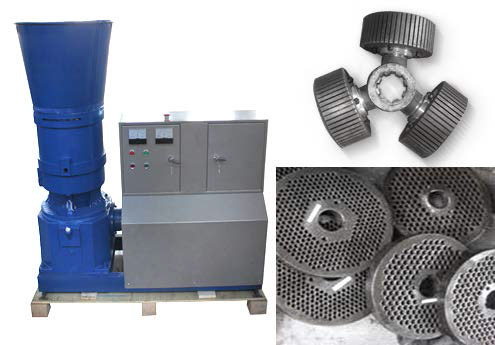 Steam treatment can also be added to produce a harder, more commercial pellet, should the need arise, but for on farm use, or where pellets aren’t transported over long distances, the steam treatment usually isn’t necessary. 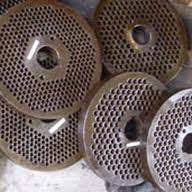 The ABCHansen MPEL Plate mill is a multipurpose pelleting press, that provides an excellent product at a reasonable price, both in capital cost and in maintenance.The simplified flat die system is longer wearing and has a lower replacement cost than the ring die pellet mills common in South Africa. Operation and maintenance is also very simple with all the power being transferred from the motor via a single direct couple gearbox mounted in a cast iron housing. 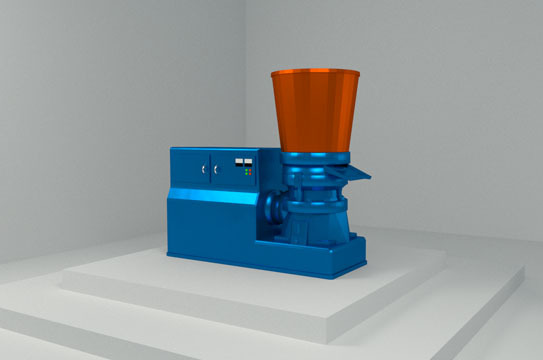 The hopper feed is adjustable to prevent over feeding and blocking of the die, and the integrated into the mill shaft is a cutting mechanism for cutting pellets into similar lengths before exiting the machine. The outlet, as standard, is for a bag off directly from the machine, but can be adjusted to feed into cleated or belt conveyors.